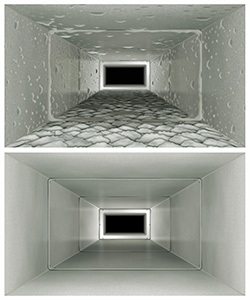 Duct cleaning is the first step towards improving indoor air quality. Poor indoor air quality can lead to an increased risk of allergy-related sickness, asthma, lung disease, and even lung cancer. 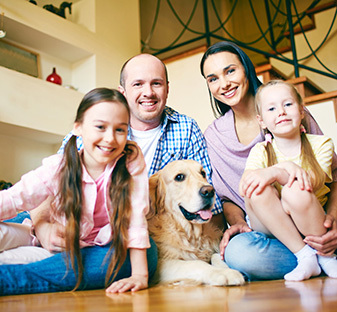 Maintaining indoor air quality is essential to your health and the health of your family and co-workers. A powerful and effective way to maximize the amount of clean, allergen-free air in your indoor environment is to have the ducts of your system cleaned. Duct cleaning involves cleaning all the cooling, heating, and ventilation components of a forced air system. These components bring air into your residence or work environment, filters air through the space, humidifies or heats the air, and releases it to the environment. Ducts in older buildings can accumulate mold in places that are not immediately visible, and attract vermin, such as cockroaches and mice. Air infused with the droppings of vermin and excessive molds or moisture can pose a health risk. Cockroach droppings, in particular, are associated with asthmatic difficulties. When the moisture of the duct system is not properly maintained or regulated, excessive dirt and dust from outside can accumulate and be circulated throughout your residence or workplace. Duct cleaning removes mold, dust, debris from vermin, and other pollutants from your indoor air supply. If you live or work among allergy sufferers, duct cleaning can be a powerful tool for alleviating the symptoms of allergies. Duct cleaning is an investment in your health and wellness. We’ve used Priority One for several years now and have been very happy with the service. It’s extremely easy to schedule an appointment, and the technicians are always both professional and friendly. We look forward to using Priority One for our future needs. Thank you to all the folks at Priority One for providing us with such great service year after year! Our technicians will do a thorough inspection of your heating and air conditioning systems in order to determine where molds and other debris may be located. Imaging devices allow us to gain a full picture of your ducts. The duct cleaning process involves a variety of tools. First, vacuums and hand tools are used to loosen debris throughout the ducts, then a vacuum system is used to pull out debris and dust from the ducting. If the state of the ducts is severe, sanitizers may be required. In spaces that are exposed to high outdoor pollution, duct cleaning can have a tremendously positive impact. Our technicians perform duct cleaning services in residential and commercial spaces and bring a thorough, detail-oriented approach to their work. Priority One will do a full inspection and evaluation on your heating and cooling duct system. We will present all your options with our recommendations for the steps to make your home safe and clean.